A Ground Floor, One Bedroom Apartment Set within this Prominent and Historic Building. 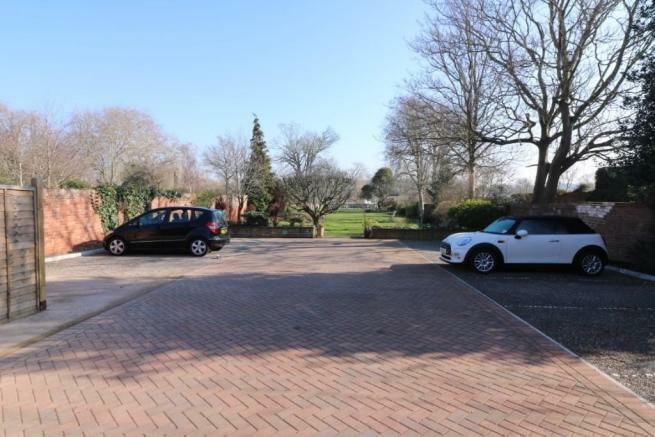 Presented to a High Standard with Off Road Parking, Beautiful Shared Gardens with River Frontage and Easy Walking Distance to the Town Centre. Courtyard Entrance, Reception Hallway, Open Plan Kitchen/Dining Room with Lounge. Large Double Bedroom, Full Bathroom Suite, Separate Boiler Room/Storage. Off Road Parking, Gardens. The Cooperage is a historic Grade 11 listed Georgian building, with Apartment 2 being offered for sale which occupies a ground floor situation overlooking Bridge Street. There is rear courtyard entrance with intercom and door release to the front of the building. This superbly presented one-bedroom ground floor apartment has open plan living accommodation with well fitted kitchen/dining area and bay window to the lounge. There is reception hallway with master bedroom and full bathroom suite, including separate shower. The property has electric central heating and is beautifully presented. 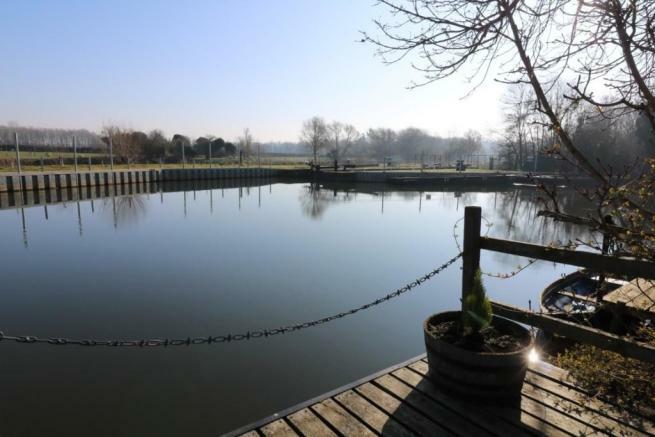 There is off road parking within the rear courtyard and the communal gardens with river frontage are a delight. The market town of Pershore is Georgian styled and provides high street shopping facilities and supermarket together with an indoor market and leisure complex. 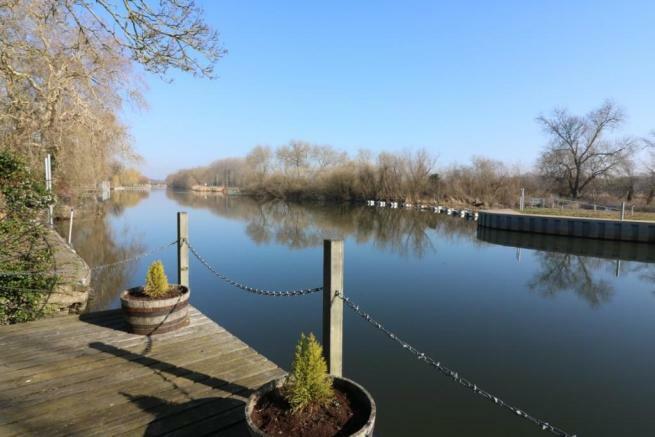 The river Avon runs to the east of the town lending itself to scenic walks and leisure pursuits. There are two medical centres and hospital and town library, together with excellent educational facilities within the area. Pershore has Number 8 which is run by voluntary help and provides theatre activities, a cinema, ballet and yoga classes and is very much a part of Pershore community living. Off Station Road there is the railway link to London Paddington or Worcester. The new Worcestershire Parkway Station is being developed to improve the access and destinations to the south west, the north east, London and the Thames Valley. So significantly enhancing Worcestershire's connectivity to outline regions. The motorway is approximately nine miles distant at Worcester junction 7 of the M5, bringing Birmingham to the north and Bristol to the south within commutable distance. Other main centres are Stratford-upon-Avon with the theatre and racecourse, Cheltenham with National Hunt horse racing and the Every man Theatre and major main shopping facilities, Worcester with famous Cathedral and equally famous cricket club together with the River Severn and good shopping centre. Disclaimer - Property reference JMB1418. The information displayed about this property comprises a property advertisement. Rightmove.co.uk makes no warranty as to the accuracy or completeness of the advertisement or any linked or associated information, and Rightmove has no control over the content. This property advertisement does not constitute property particulars. The information is provided and maintained by Bomford And Coffey , Pershore. Please contact the selling agent or developer directly to obtain any information which may be available under the terms of The Energy Performance of Buildings (Certificates and Inspections) (England and Wales) Regulations 2007 or the Home Report if in relation to a residential property in Scotland.